As part of Nautical Boat Clubs™, we are a proven concept. Over a 22 year period, Nautical Boat Clubs™ have filled over 97% of their reservation requests. Lake Murray Boat Club has filled over 99% of its reservation requests which represents over 20,000 outings during its first ten years in business. Tour the Boat Club and see for yourself! 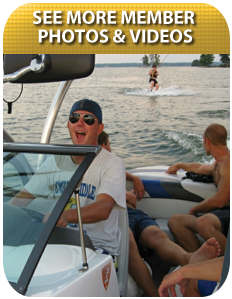 Contact Us to ask about our boat use statistics, and then put us to the test by asking for a reservation. Call 803-407-2828 between 10 a.m. - 5 p.m. Tuesday - Sunday. Which boat you wish to use (check out our Fleet Page). Chris and the boys working on the dock were helpful as always today. Chris is very thoughtful in offering to help me get my fishing gear to and from the boat and making sure I have everything I need.